In stock. Order in the next 9 hours, 25 minutes and it will go out today! 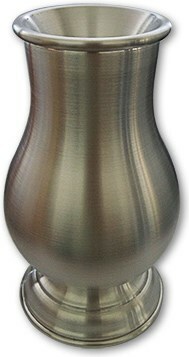 An attractive aluminum 'aqua' vase is shown empty. At your will, it fills with water. The vase is emptied and again it becomes filled with water. And again and again and again!